Tokyo is filled with arcades, just take a look at Akihabara’s multitude of both brand-new and classic arcade shops. Most of the arcades in Tokyo have the latest and greatest arcade machines, but probably none of them can hold a candle design-wise to a certain arcade in Kawasaki. Enter the Kawasaki Warehouse (or Anata no Warehouse in Japanese). While it’s outside the main city of Tokyo, it’s definitely worth a trip, as you’ll be transported in a grungy ‘cyberpunk’ world once inside. Just look at the Kawasaki Warehouse’s front door. It looks straight out of Akira or Blade Runner! The cyberpunk feel continues once inside as the arcade’s main hall looks old and grimy. Don’t worry though, while it seems filthy, it’s just as clean as any place in Japan. 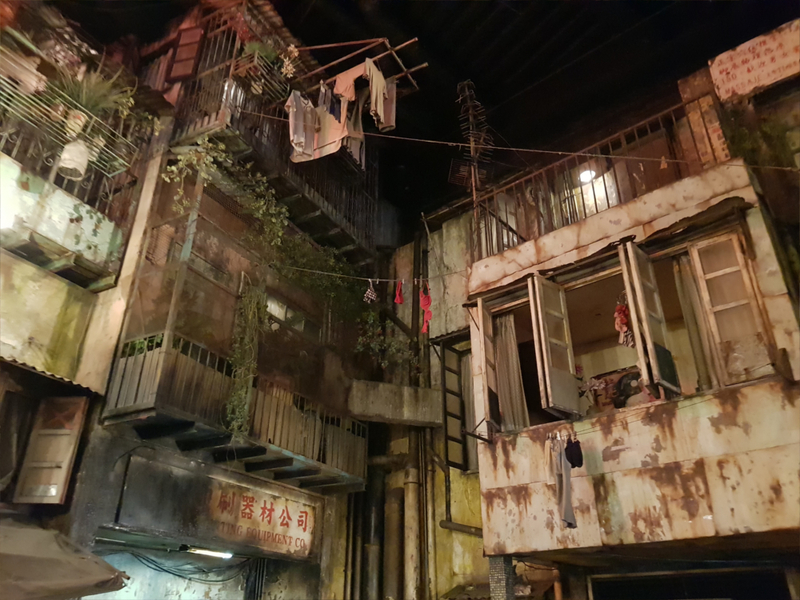 The Warehouse’s second floor houses the main arcade area, though when you go up the escalator, you’ll be greeted with a scene straight out of the Kowloon Walled City! In case you aren’t familiar with the place, Kowloon Walled City was a densely populated area in Hong Kong that was largely ungoverned. It became one of the aesthetic pegs of cyberpunk classics such as Ghost in the Shell, and it now serves as the primary inspiration for Kawasaki Arcade. Kawasaki Warehouse isn’t just for snapping pics or taking in the grungy atmosphere though, as it’s also a massive arcade complex! In the main area are classic titles such as the older Mario Kart arcades, as well as games such as SEGA’s OG Street Fighter. 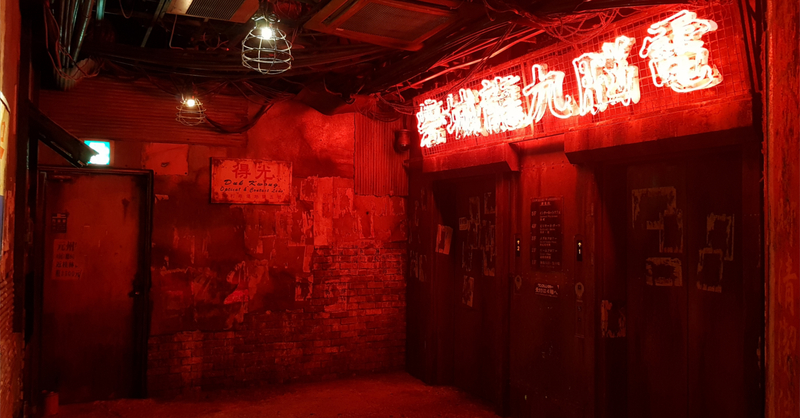 The dingy Kowloon Walled City aesthetic fades off a bit as you venture deeper into the second floor, revealing an industrial design that fits well with the newer range of arcade games and UFO catchers. 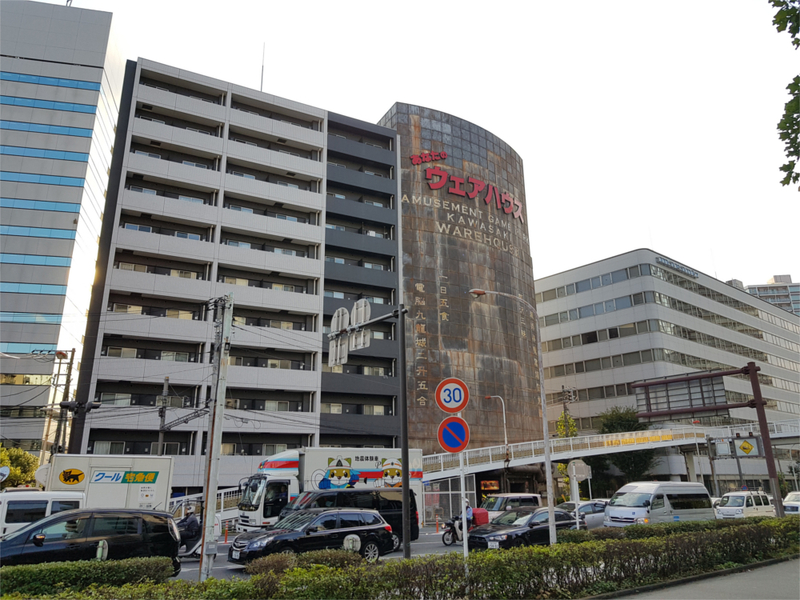 Moving up to the third floor, you’ll be greeted with rows upon rows of pachinko machines. In case you didn’t know, Pachinko machines are sort of like slot machines, but they dispense pachinko balls which players can exchange for money at a different establishment. Think of it as a loophole to the strict gambling laws in Japan. Not interested in the pachislots? 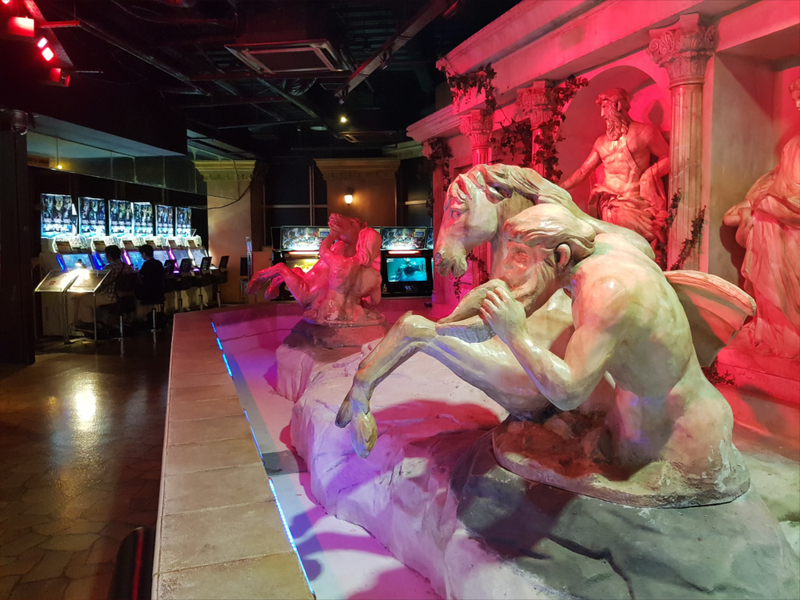 You can skip towards the fourth floor, where you’ll be greeted by a Classical Greek-inspired fountain (because why not!). The 4th floor contains more arcades, including games such as Fate/Grand Order Arcade, Tekken 7, and many more. Though the floor is also a great chill-out place for groups of friends, as it has ping pong tables, billiards, and darts if you’re not feeling the need to game. When you’re done playing games and taking pics, Kawasaki Warehouse has one final surprise. The arcade’s exit is located at the ground floor, and it contains a moat (which looks like it’ll give you superpowers if you fall), leading to one snazzy-looking Yin-Yang exit! Kawasaki Warehouse is a must-visit when you’re in Tokyo, even if it’s a bit outside the main city. The arcade is located in Kawasaki city, just five minutes away from the Kawasaki JR Station. If you’re wondering how to find it, you won’t need to look hard, as it definitely a stands out in the area. Next articleGet Ready for More Fighting Game Action with The Road to The Nationals’ Tekken 7 leg!